Summer doesn't officially begin until June 20, but many still consider Memorial Day weekend near the end of this month to be the unofficial start. 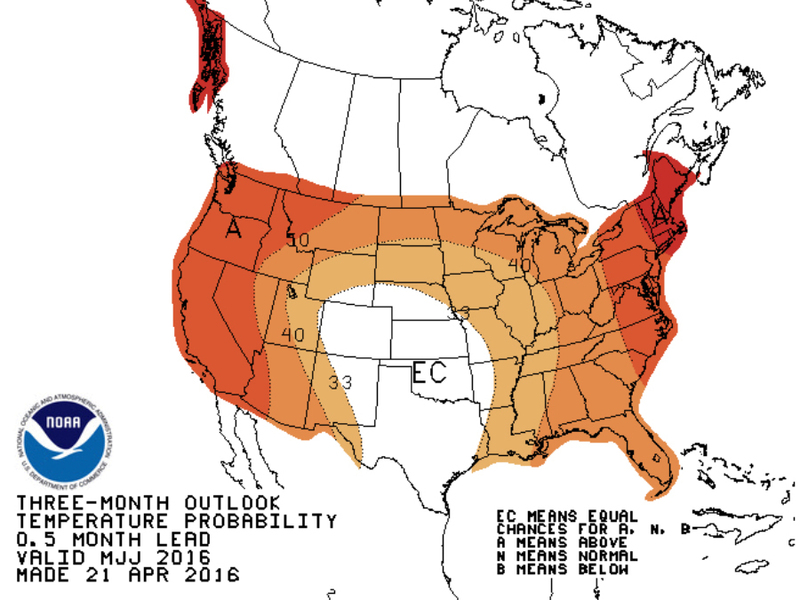 The latest forecast models are out, and it looks like the months of May, June and July are expected to trend warmer than average across most of the country. The only states looking at a more seasonable start to the summer season are in the Southern Plains — Texas, Oklahoma, Kansas, Colorado and most of Nebraska. As for precipitation, it looks like the heavier rain will be where we've already seen a lot of rain and thunder — across the southern half of the country. This could mean more flooding troubles in places that have already been dealing with an exceptionally wet spring. 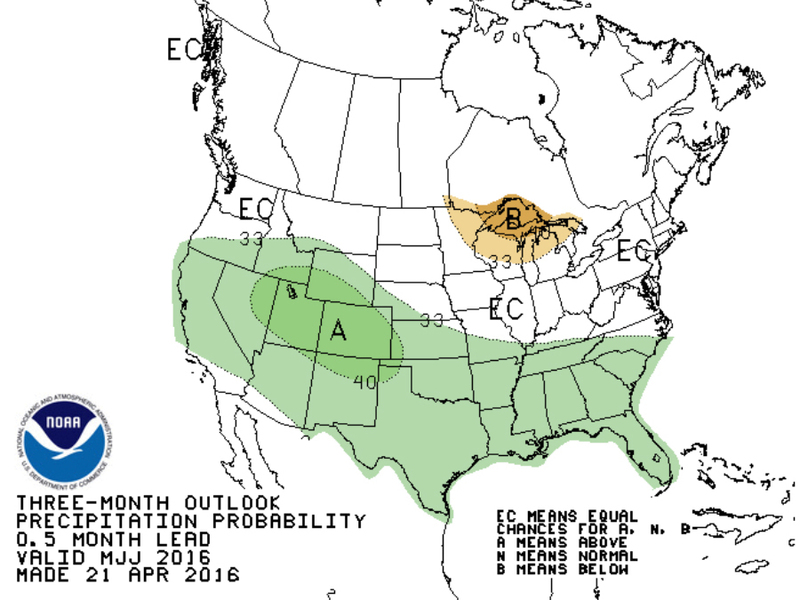 At the other end of the spectrum, drier than average conditions are expected in parts of the Upper Midwest.